It's official, Still Light Studios now offers Senior Portraits! We have been discussing the idea of photographing high school seniors for a while now, but it wasn't until we photographed Kristie that we realized how fun senior portraits truly are. 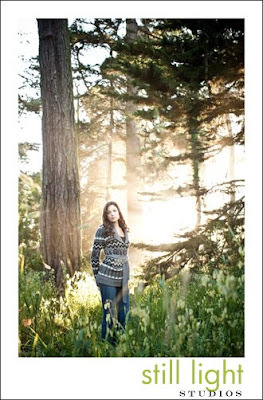 We started off shooting Kristie in Burlingame, home of Still Light Studios, then we headed up to San Francisco where we continued our session. Kristie is an amazing girl to photograph. She has a beautiful smile (you can see more of those photos on our Facebook page), a great blend of a serious yet relaxed look, a pleasant attitude, and is willing to try out all our ideas without hesitation. We couldn't have asked for a better senior to be our first model, thank you Kristie. We're now hooked on senior portrait photography and open for business!